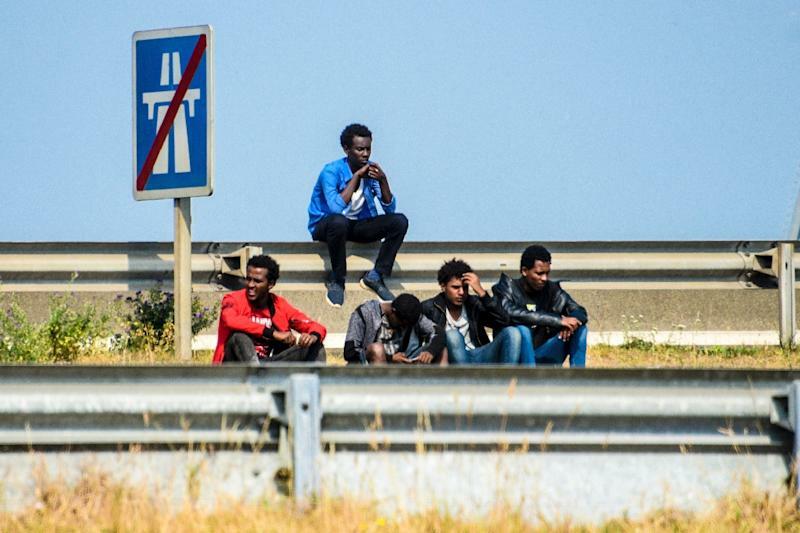 Calais (France) (AFP) - French President Emmanuel Macron's new government took a tough line on Calais migrants Friday, with his interior minister saying he does not want the northern port to become an "abscess". Making his first visit to a city which has for years been a magnet for migrants and refugees hoping to cross to Britain, Interior Minister Gerard Collomb ruled out building a reception centre for asylum-seekers in Calais, saying it would only encourage more people to come. 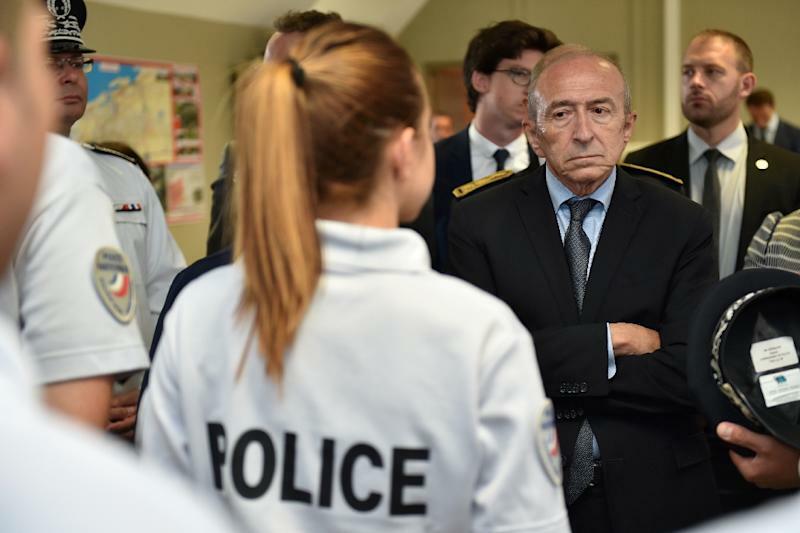 Instead, Collomb said, "we are going to reinforce security with the arrival of two additional mobile security force units to stop any new camps from forming." Authorities shut down the notorious "Jungle" camp in Calais, which at its height was home to some 10,000 people living in dire conditions, last October. But hundreds of migrants -- mostly Afghans, Sudanese and Eritreans -- are still at the port, clashing sporadically with police as they try every night to stow away onto trucks heading to Britain. This week a Polish driver was killed when his truck burst into flames after hitting a roadblock, set up by migrants hoping to slow the traffic to make it easier to jump onto vehicles. The roadblocks began reappearing in late May with a new uptick of migrants in the region -- and a surge for Europe, with Italy registering more than 65,000 arrivals since January. While the tent city of the Jungle is gone, migrants say conditions in Calais are bleaker than ever. "There is no tap and we cannot drink, we cannot wash. There is nowhere to sleep. At night I sleep without a tent on the 'mountain'," said Jamal, a 24-year-old Afghan, pointing to a huge rubbish dump. Collomb pledged Friday to present Macron with a plan for asylum reforms in the next two weeks, vowing in particular to tackle African people-smuggling networks at their root. Eleven charities went to court on Wednesday demanding the construction of a government refugee centre in Calais, deploring the miserable conditions in which migrants find themselves. Collomb had angered aid groups with comments Thursday rejecting the proposal, saying that building such a centre would be like creating an artificial festering "abcess" that would keep growing. "These people are not a disease, they are not dirt. They are men and women who have made a very difficult journey to flee their countries for reasons we all know about," said Hicham Aly, an aid worker at the Secours Catholique charity. Collomb argued that past experience showed that any official asylum facility in Calais would quickly overflow with arrivals, leaving authorities unable to cope. "I'm suspicious of centres that are supposedly ready to welcome migrants for only a few days who end up staying for a long time," he said. He pointed to Sangatte near Calais, where a refugee centre that opened in 1999 quickly ran over its capacity of 800 residents. By the time it closed three years later, some 2,000 people were crammed into it.